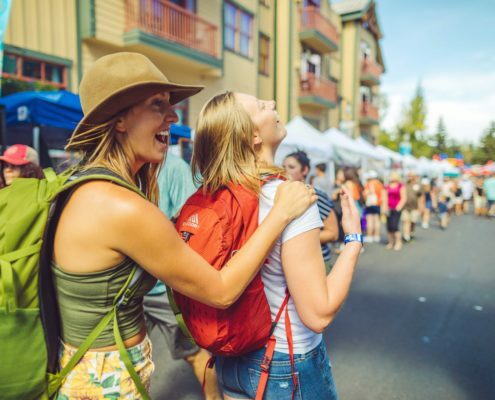 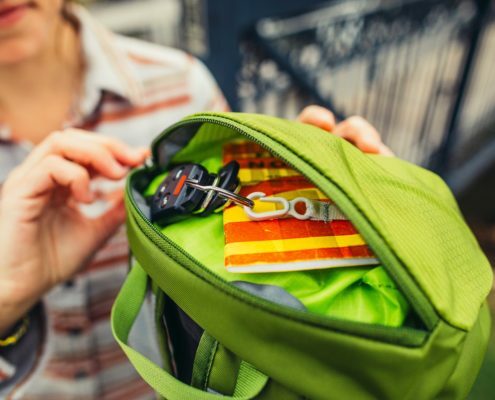 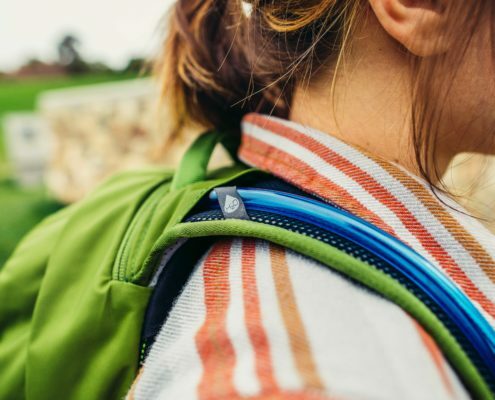 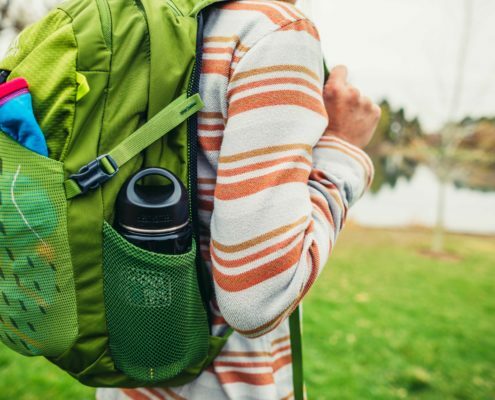 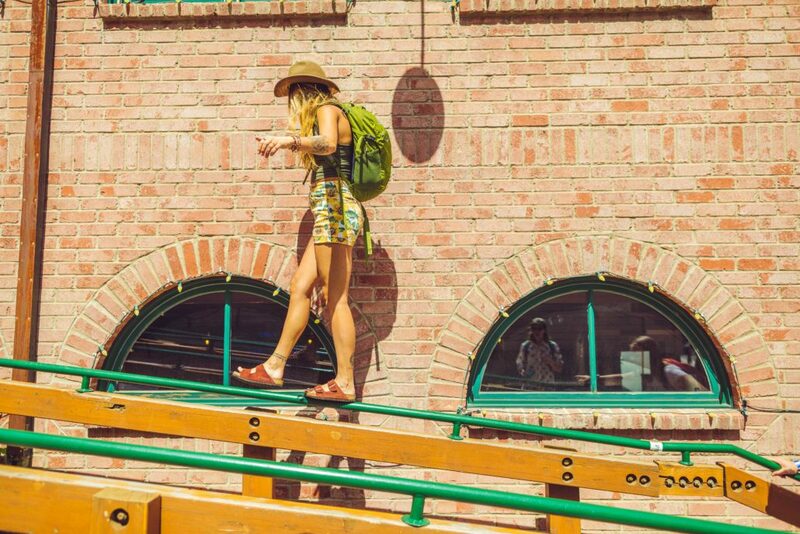 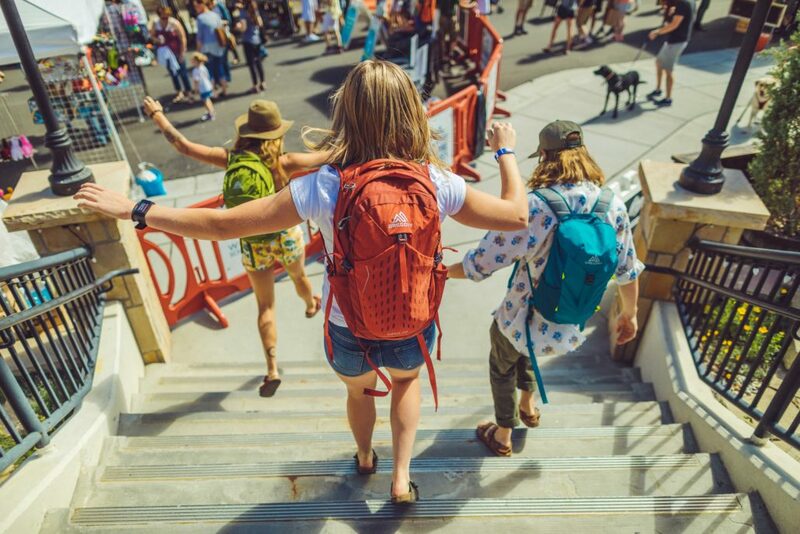 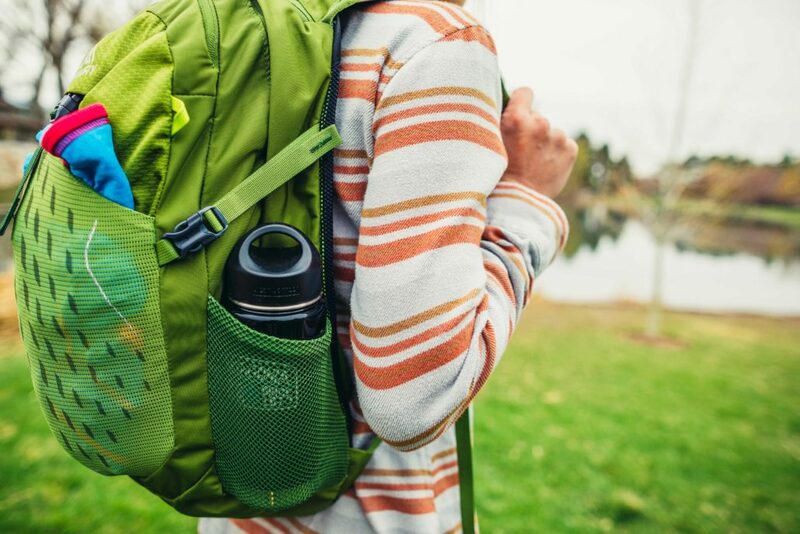 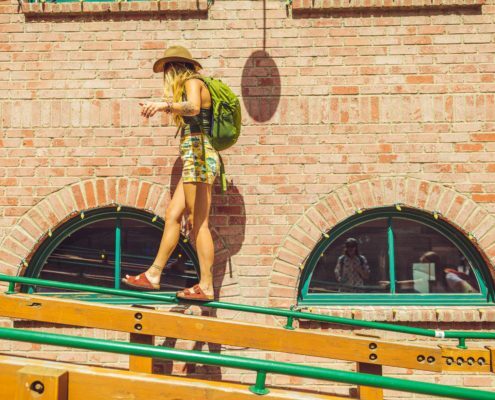 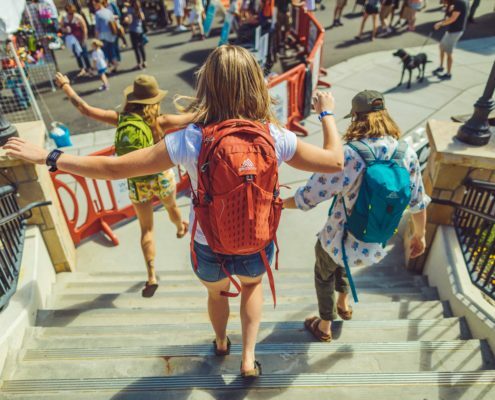 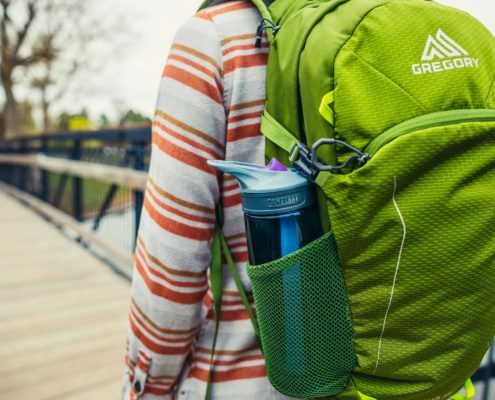 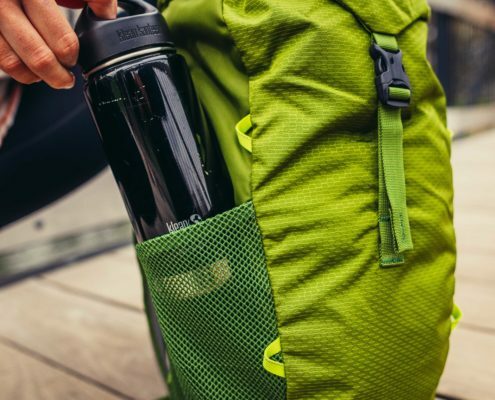 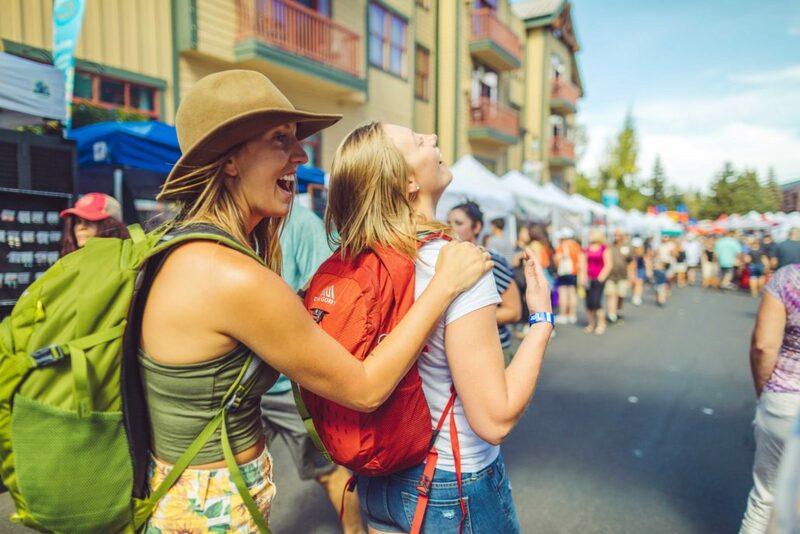 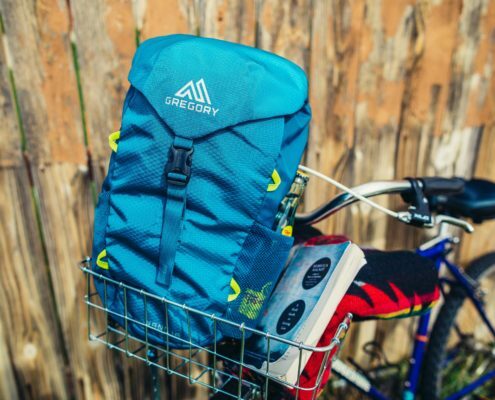 Spring 2019 sees backpack specialist GREGORY launch a new series of day packs for outdoor or urban adventures. 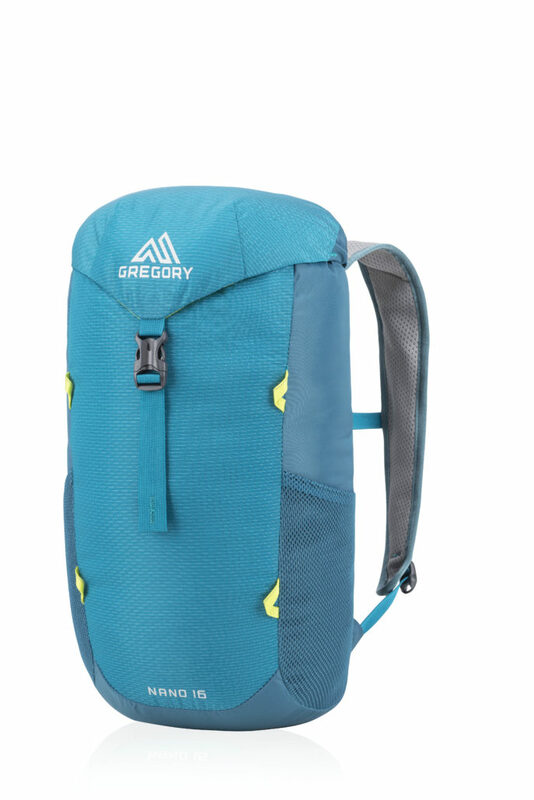 For the new Nano, available in three sizes (16, 18 and 20 litres) and in four different colours, Gregory has kept things simple: Anything that’s not necessary doesn’t feature – but everything that is, is there to the high standards you’d expect from Gregory. 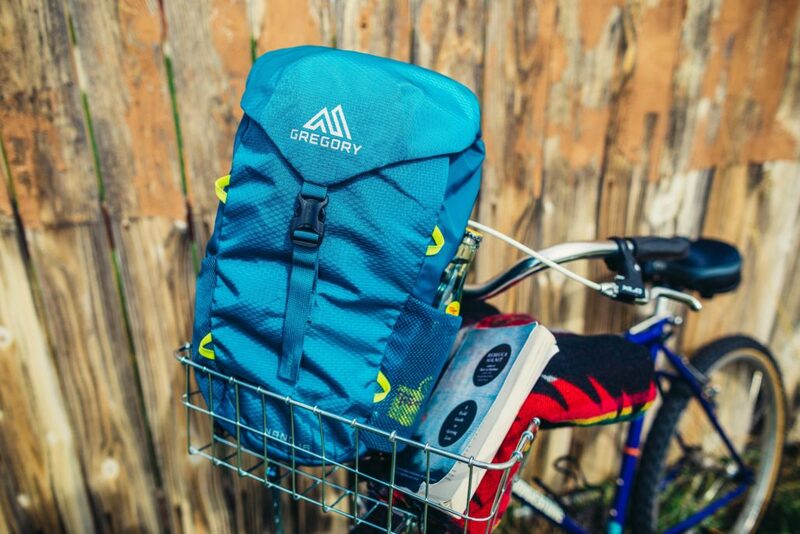 The result is a set of clean-profiled, lightweight, functional and clever packs with an affordable price tag. 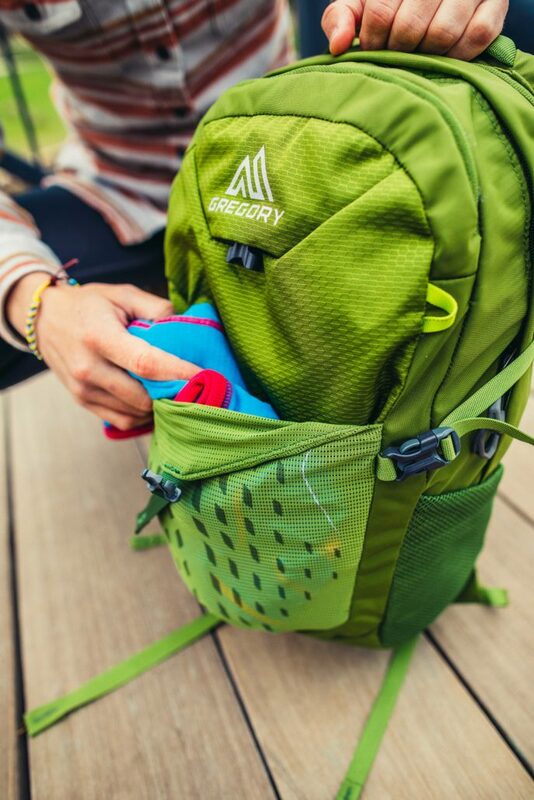 These colourful little packs are pared down to the essentials without sacrificing functionality, comfort or quality. 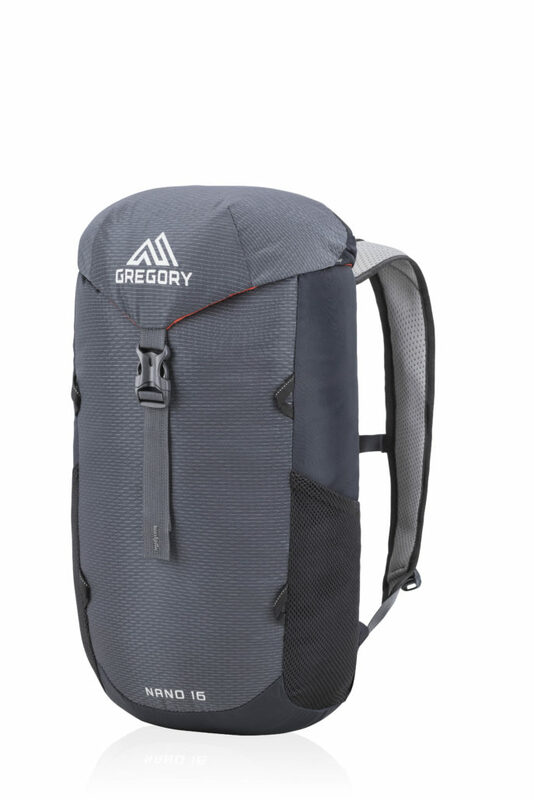 GREGORY has tailored them from CryptoRip nylon, an extremely durable, tear-resistant fabric. 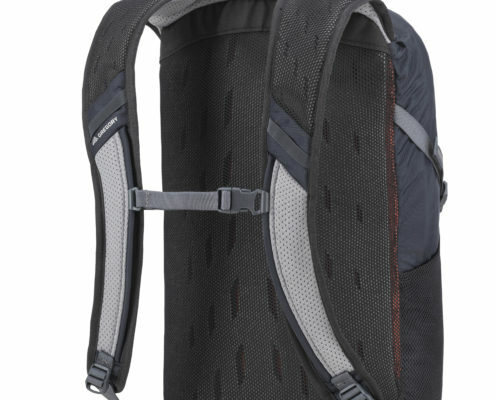 The back panel and shoulder harness are in perforated foam. 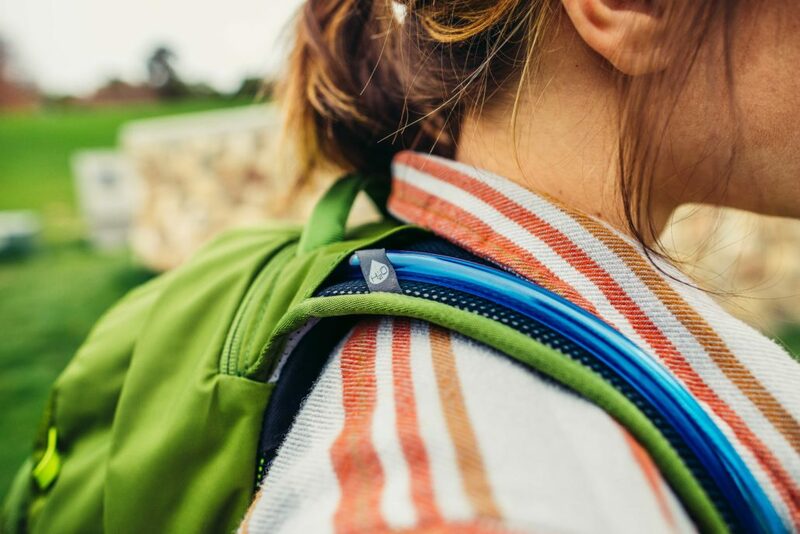 This gives them a comfortable, moulded fit while still allowing air to circulate. 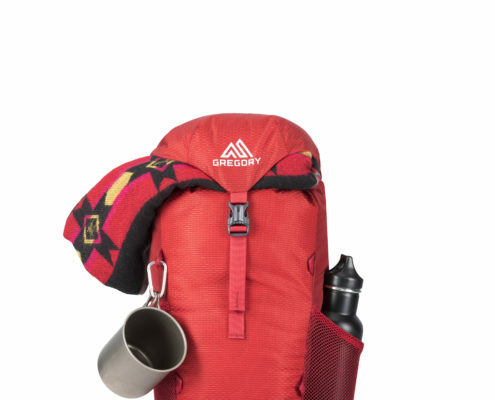 A removable sternum strap and removable (Nano 16) or stowable hipbelt (Nano 18 and 20) prevent lateral slipping of the load during more energetic activities. 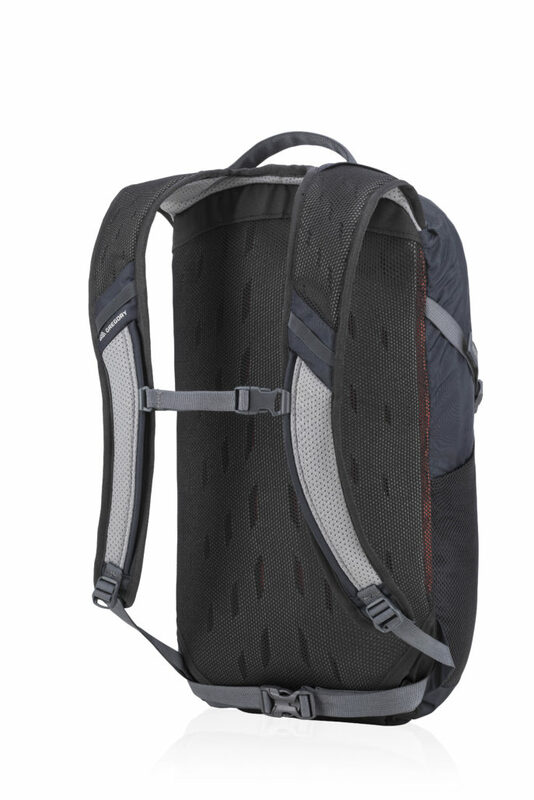 An additional internal compartment can accommodate a hydration bladder or a tablet/ laptop. 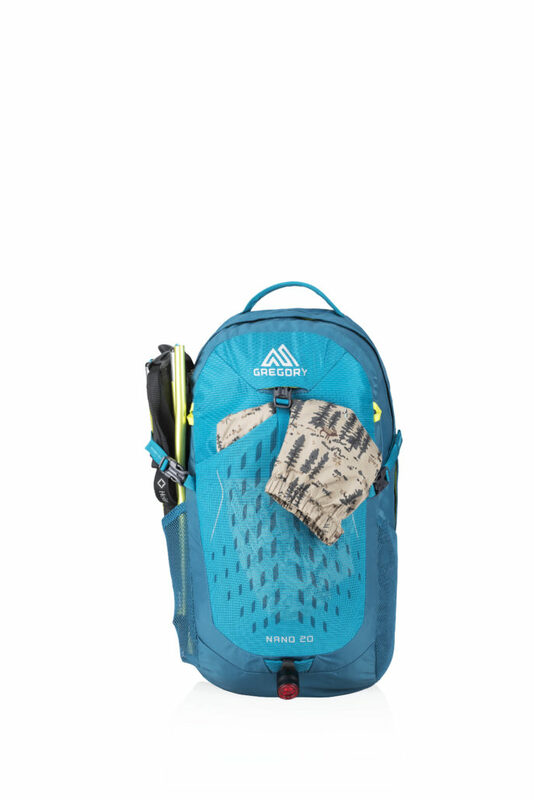 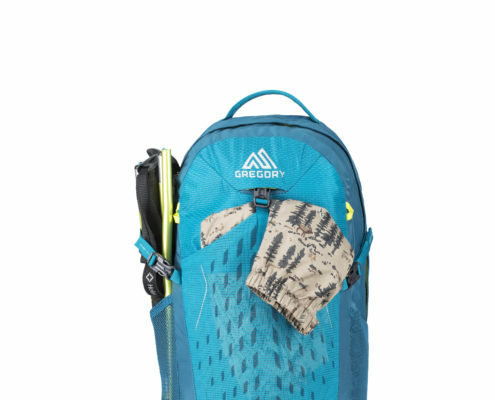 The packs have a haul handle on top (except Nano 16), and hydration system fixtures on the shoulder straps. 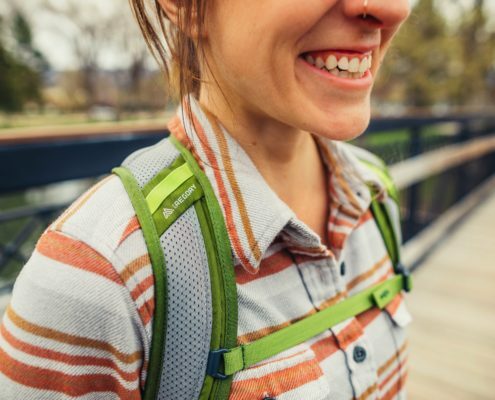 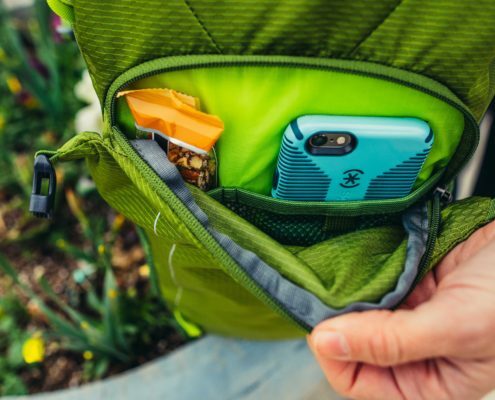 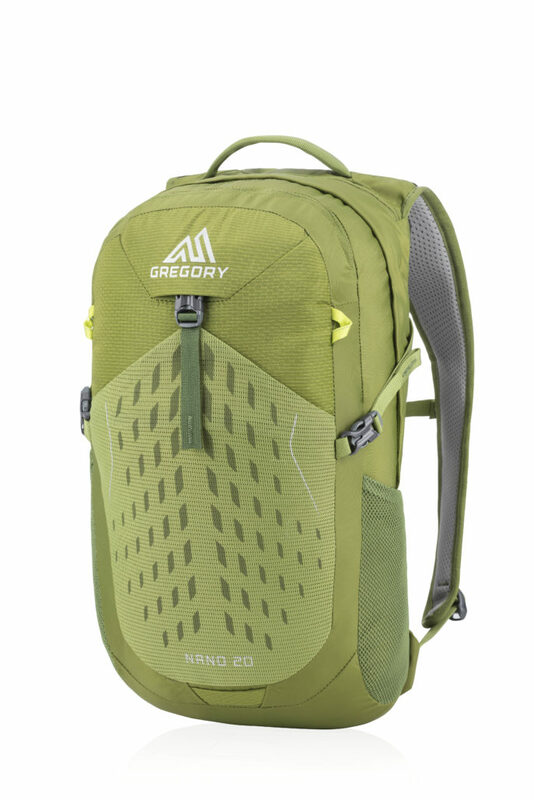 The Nano 20 has a stretch mesh stuff pocket on the front with secure buckle closure for quick stow options. 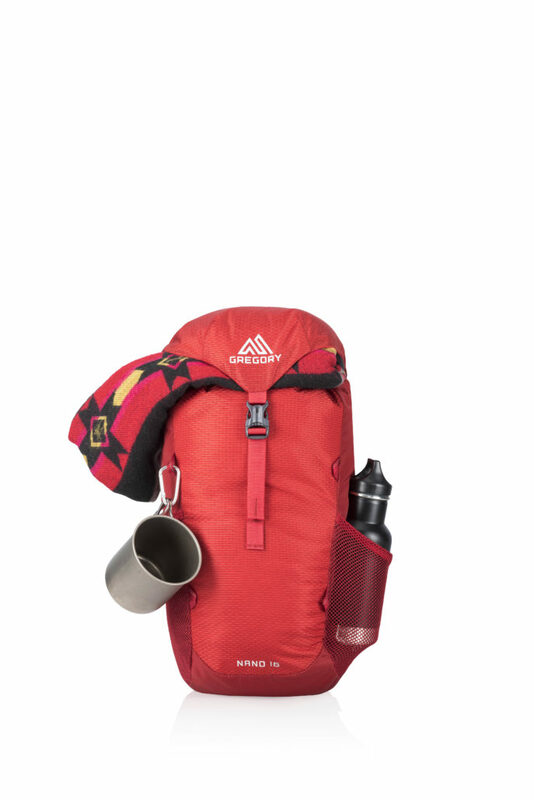 All three sizes have side stretch mesh pockets for drinks bottles, trekking poles etc. 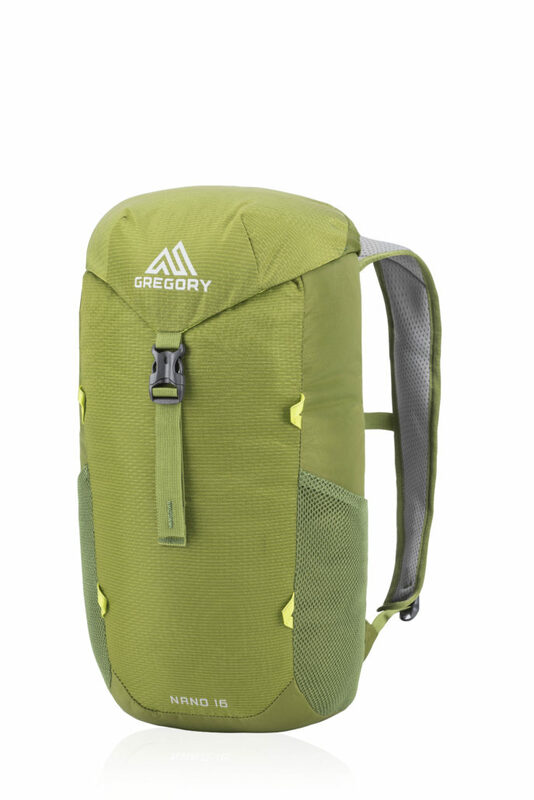 The two larger models feature side compression straps for even more streamlined packing. 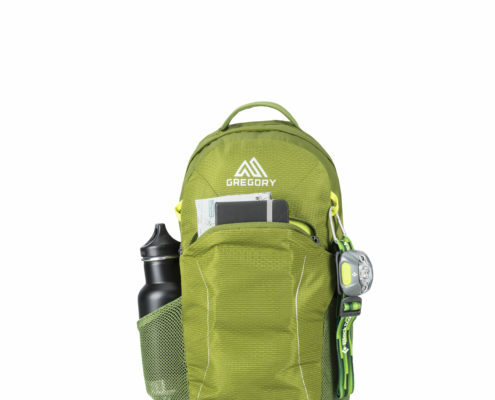 There is a bike light attachment loop on the back, and reflective webbing loops let you attach items like water bottles or other small items to the outside of the pack. 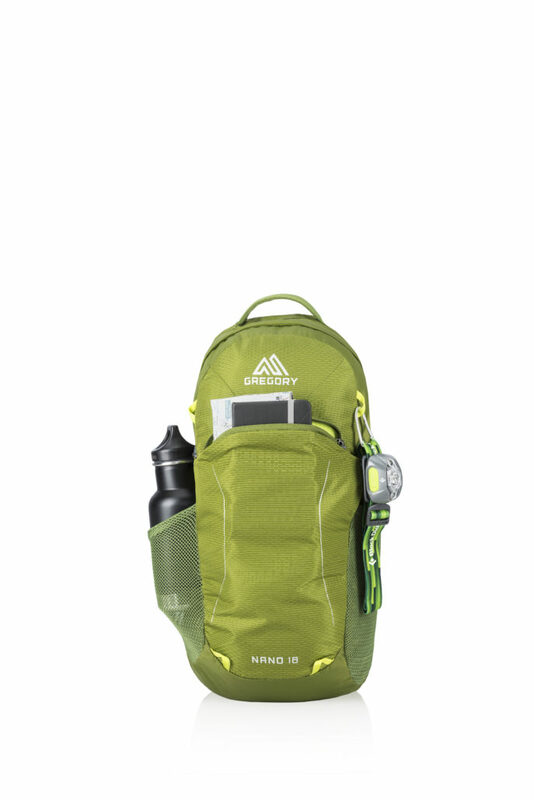 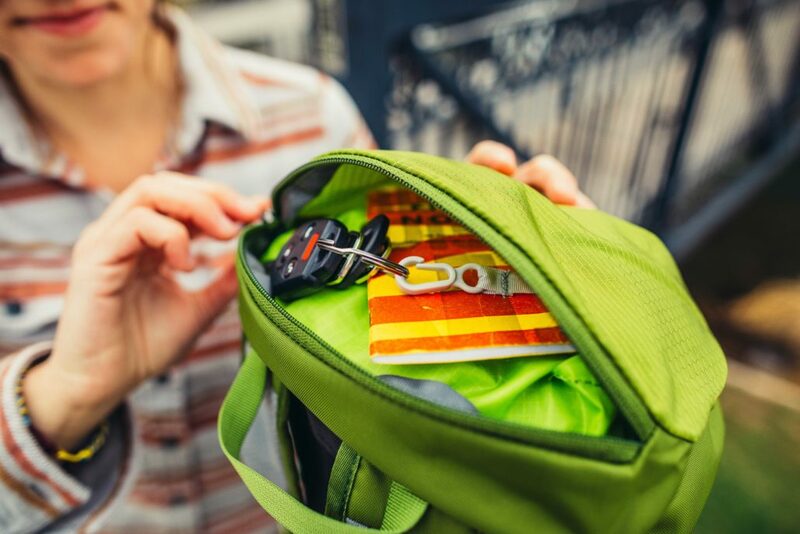 The Nanos are lightweight and fold/ roll down small, so they can be stowed in a larger pack or suitcase when not in use. 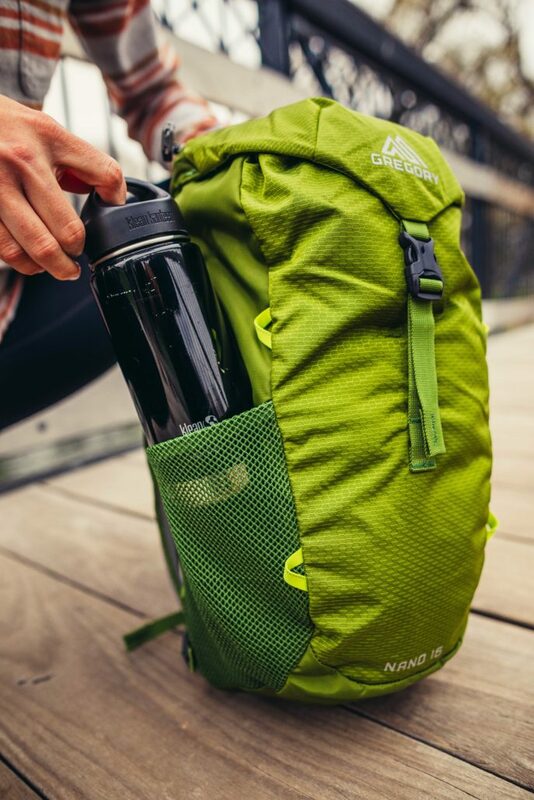 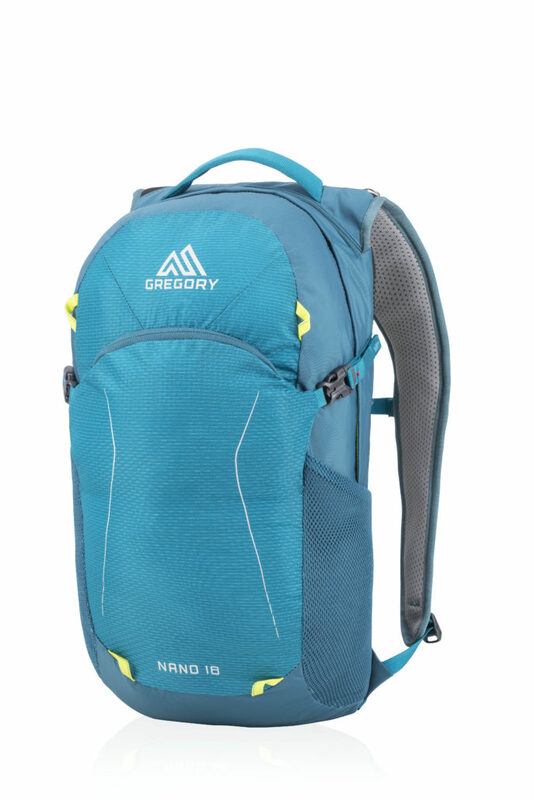 The Gregory Nanos hit the stores from spring 2019 in the colours Eclipse Black, Mantis Green, Fiery Red and Meridian Teal and in 16, 18 and 20 litre sizes. 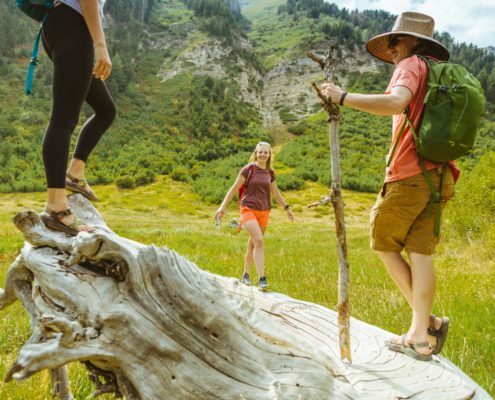 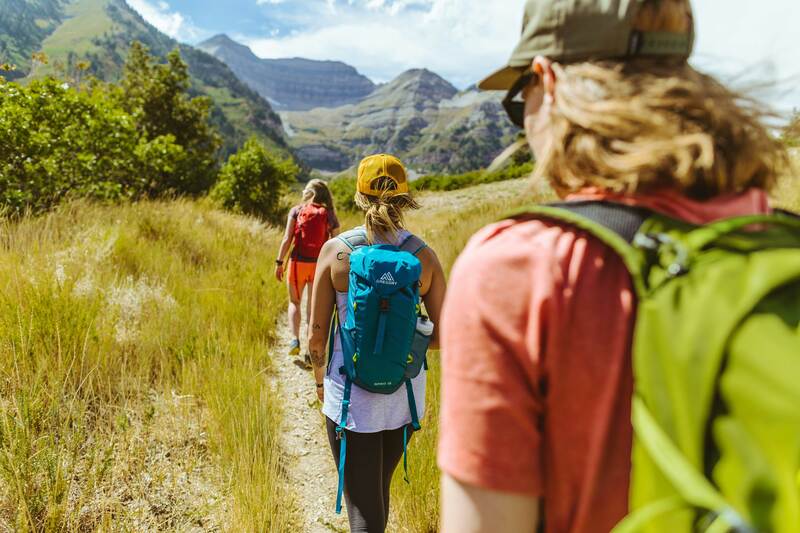 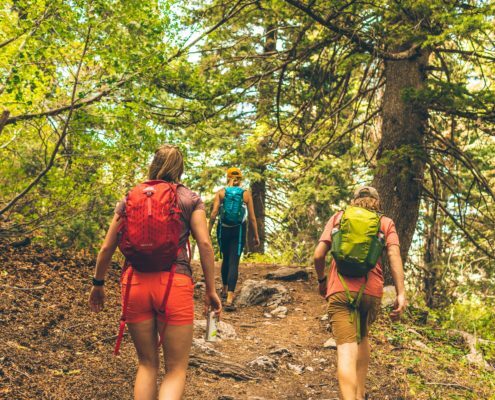 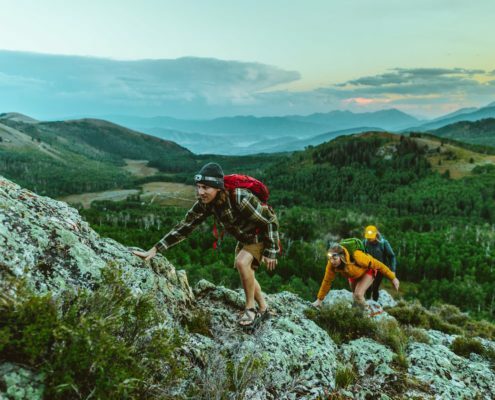 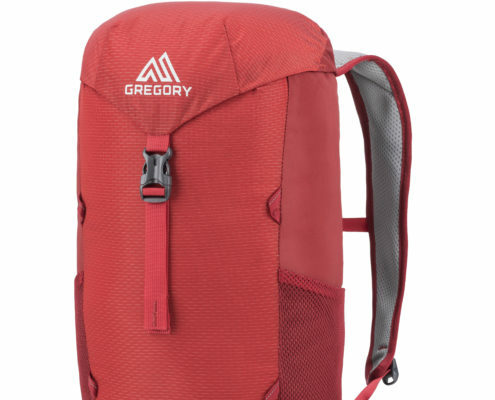 Founded in 1977 by Wayne Gregory, Gregory Mountain Products remains the long-time leader in expedition packs, trekking packs, day packs and travel gear. 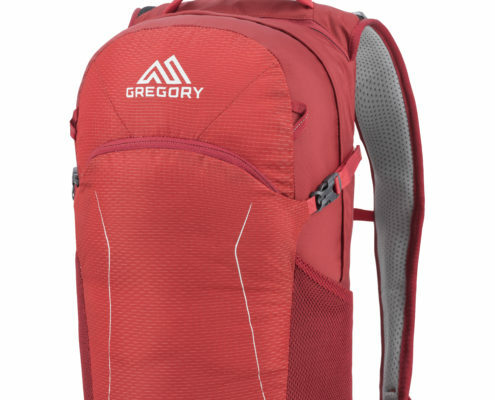 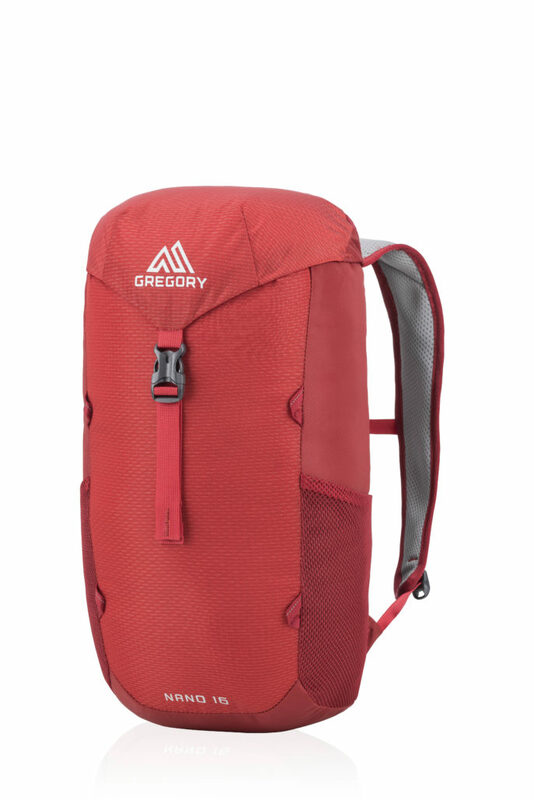 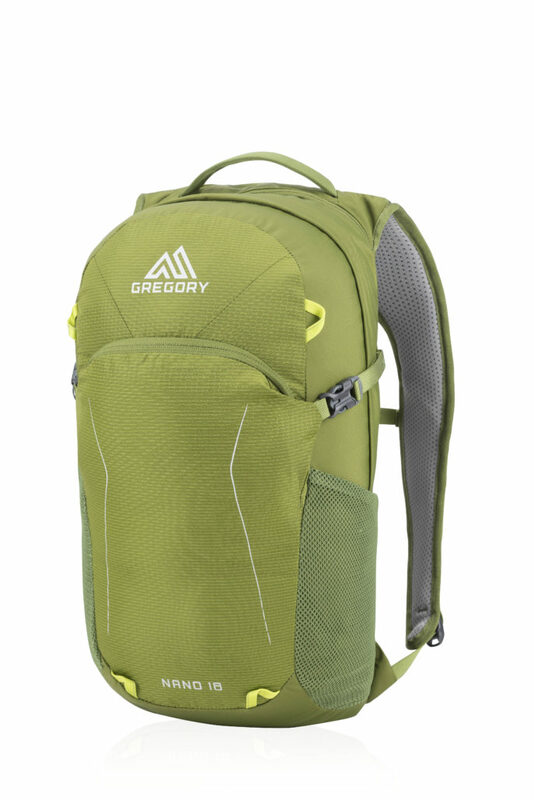 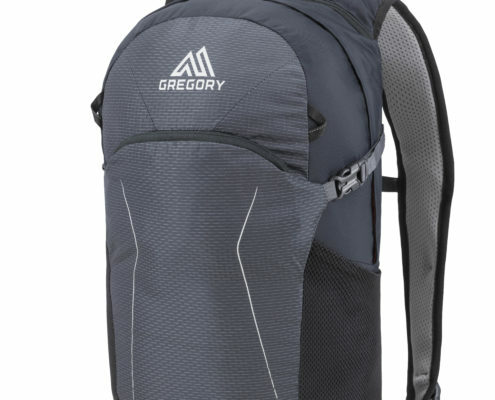 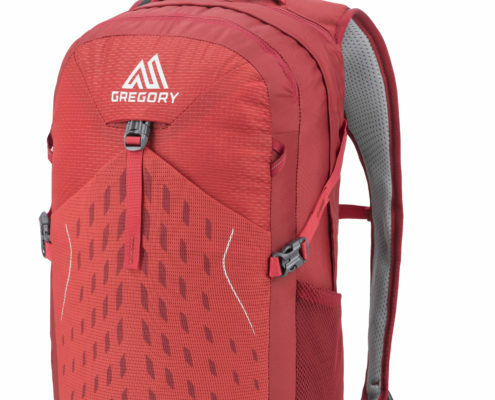 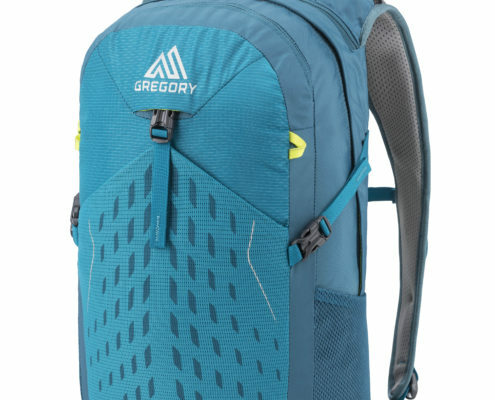 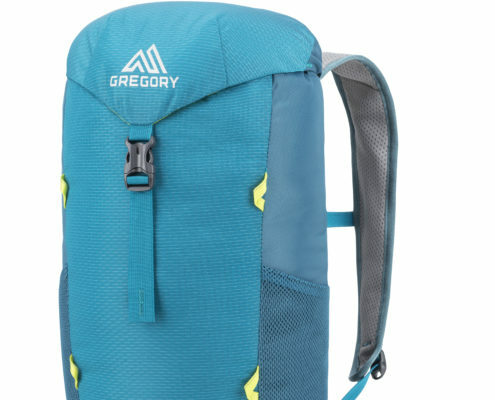 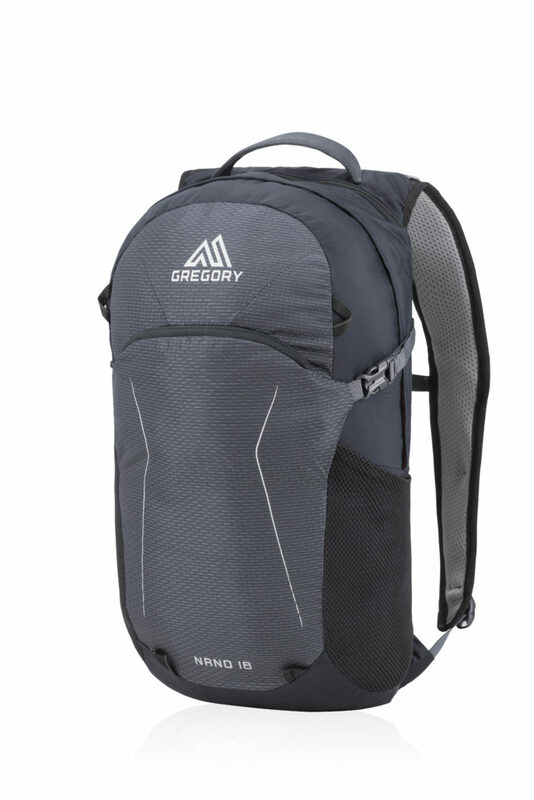 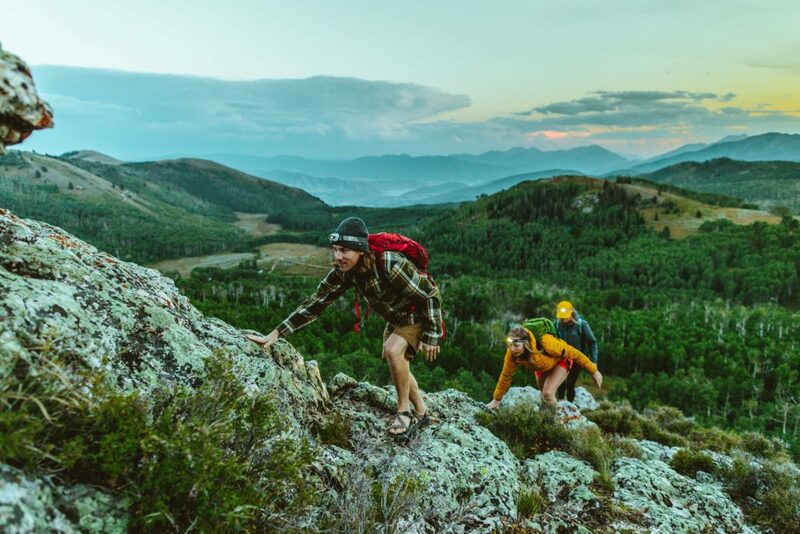 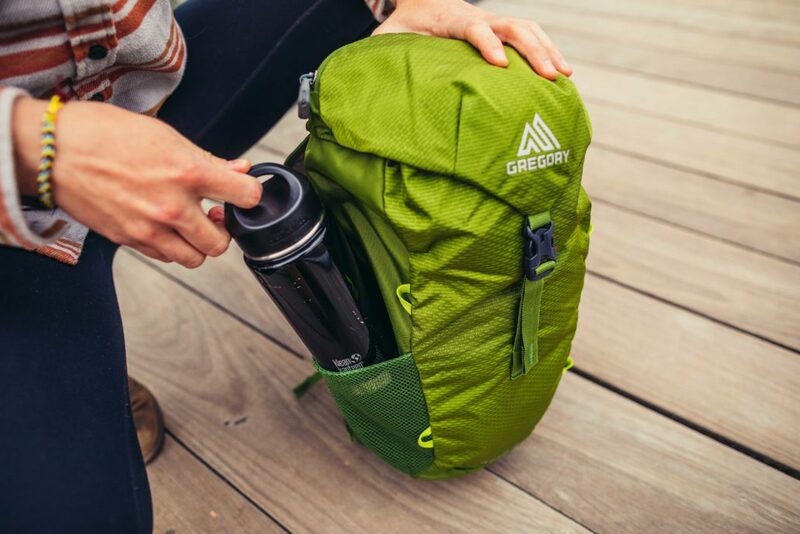 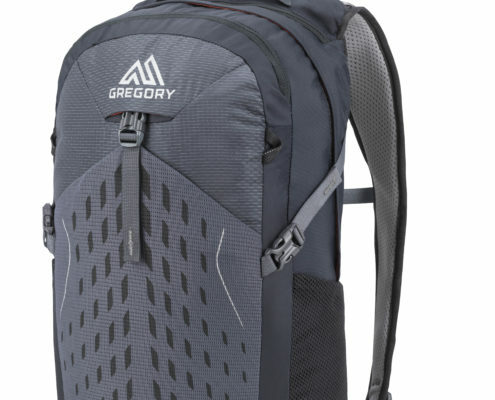 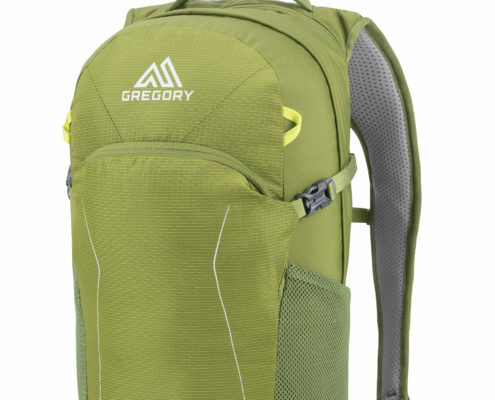 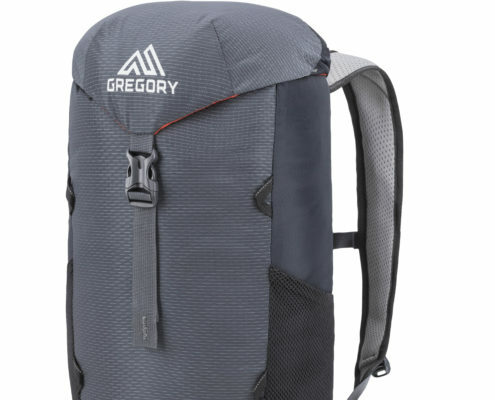 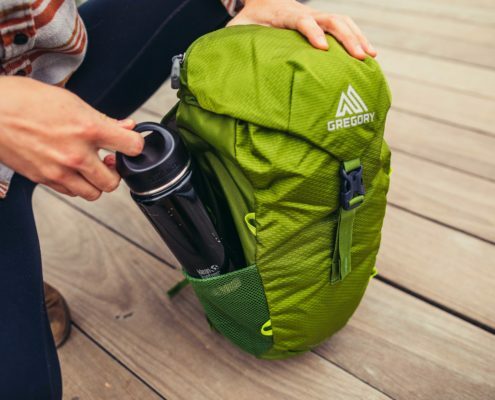 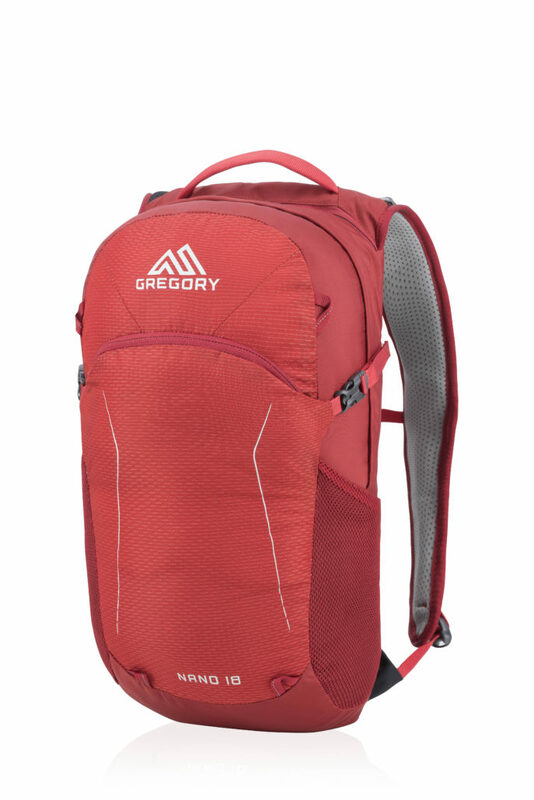 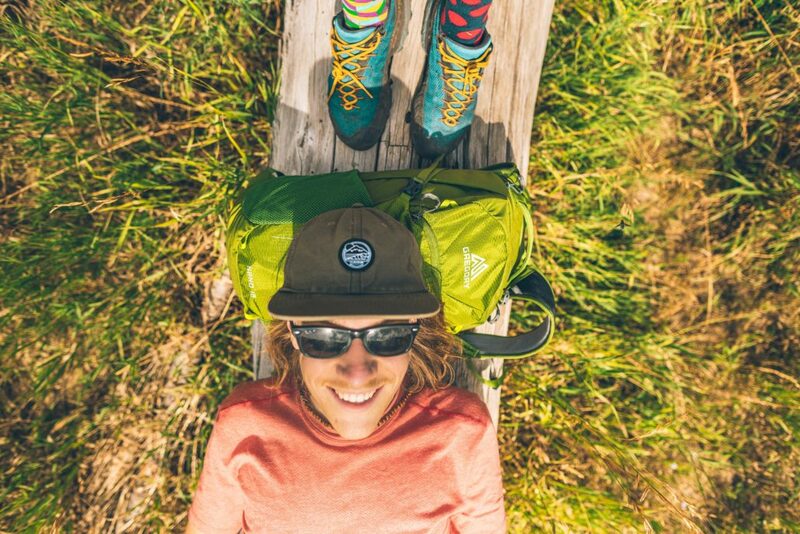 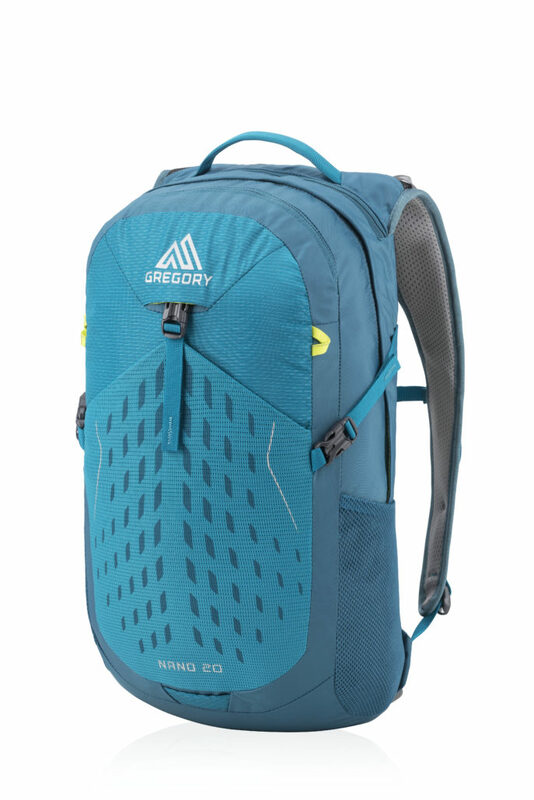 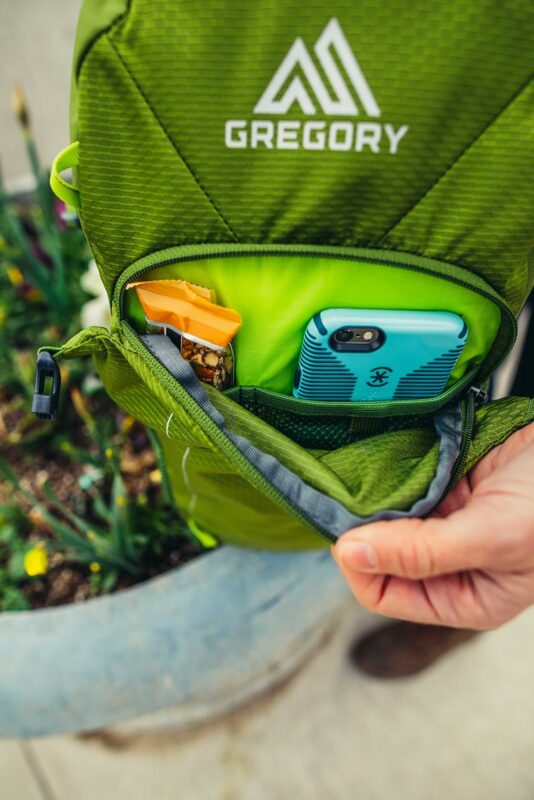 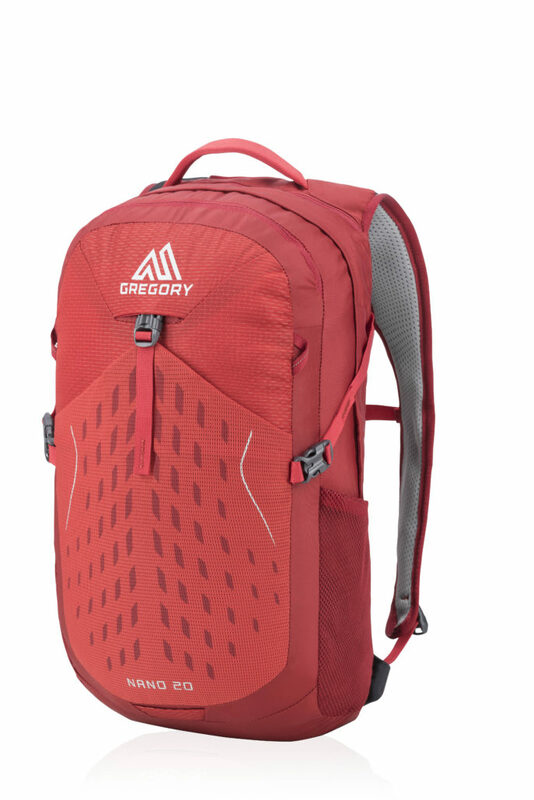 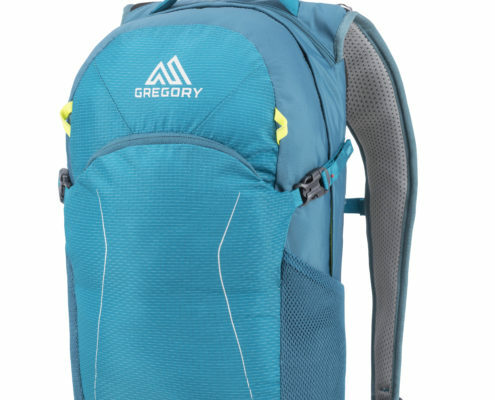 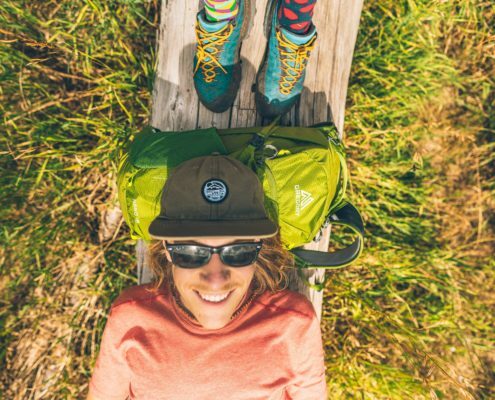 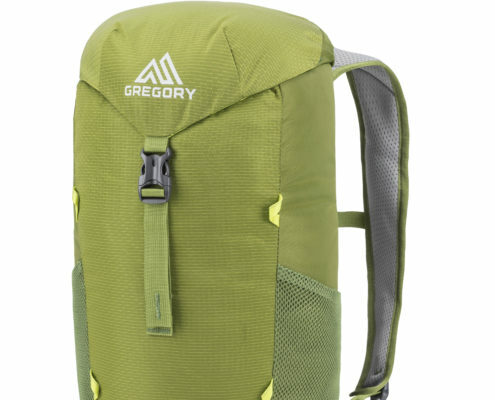 World renowned for setting durability, comfort and performance standards in all their products, Gregory has won awards for its pack designs from such diverse media outlets as Outside Magazine, Backpacker Magazine, National Geographic Adventure, Popular Science, Men’s Journal, Consumers Digest and Alpinist Magazine. 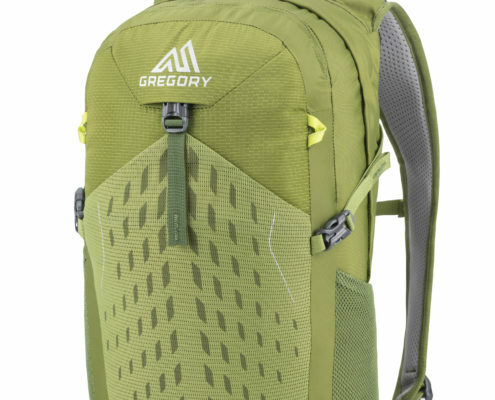 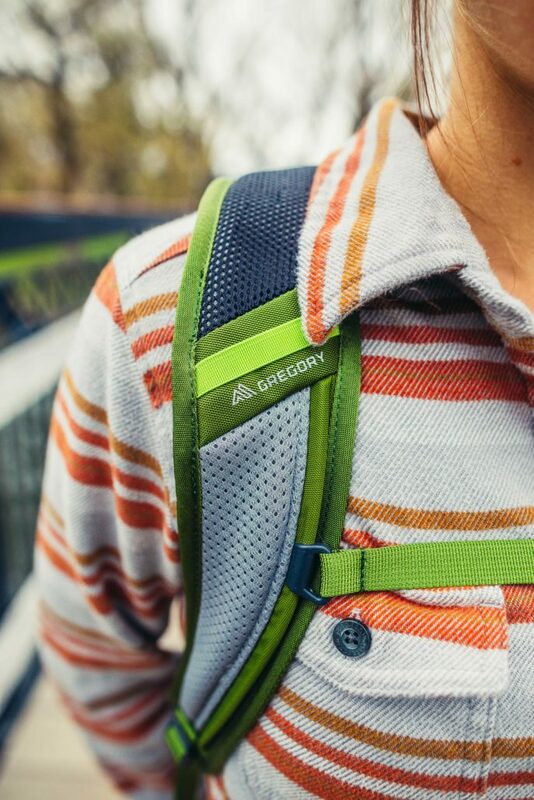 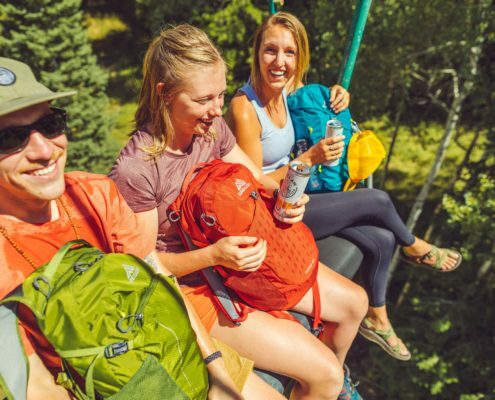 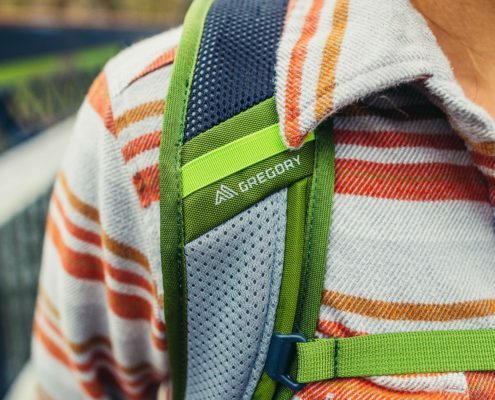 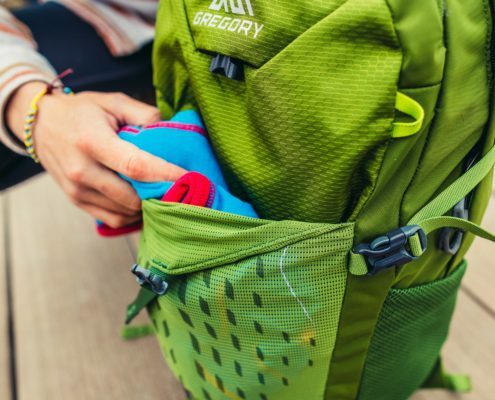 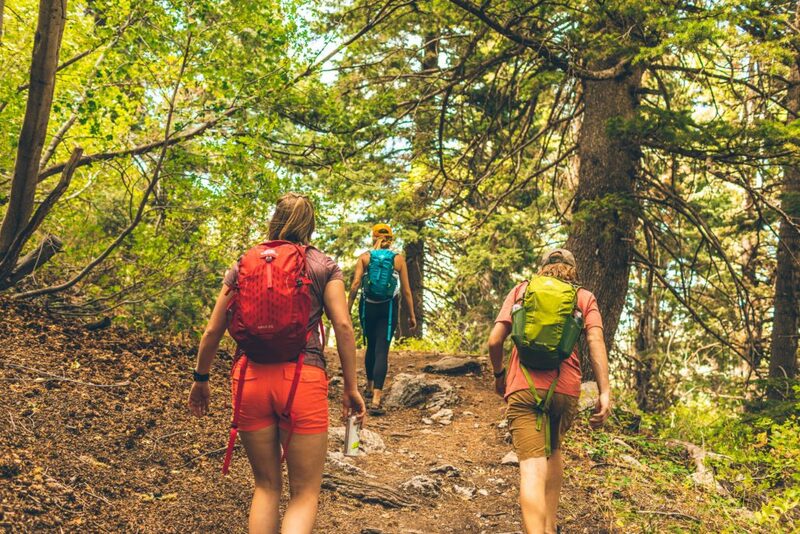 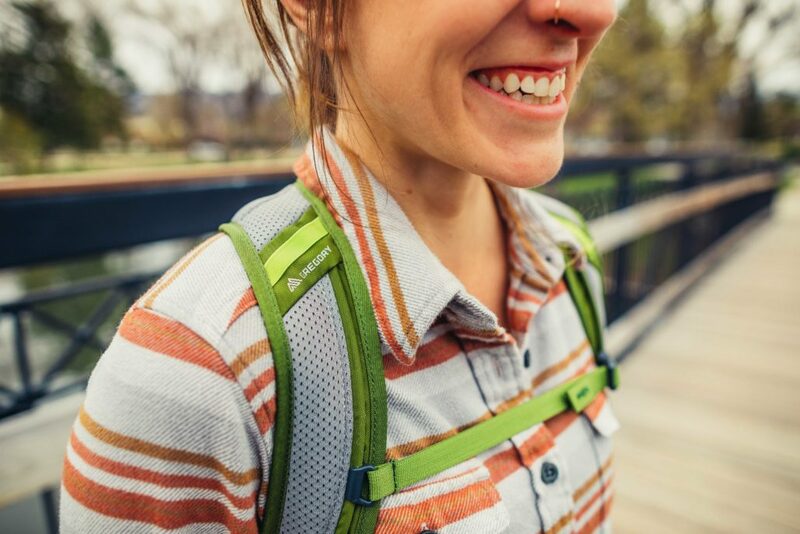 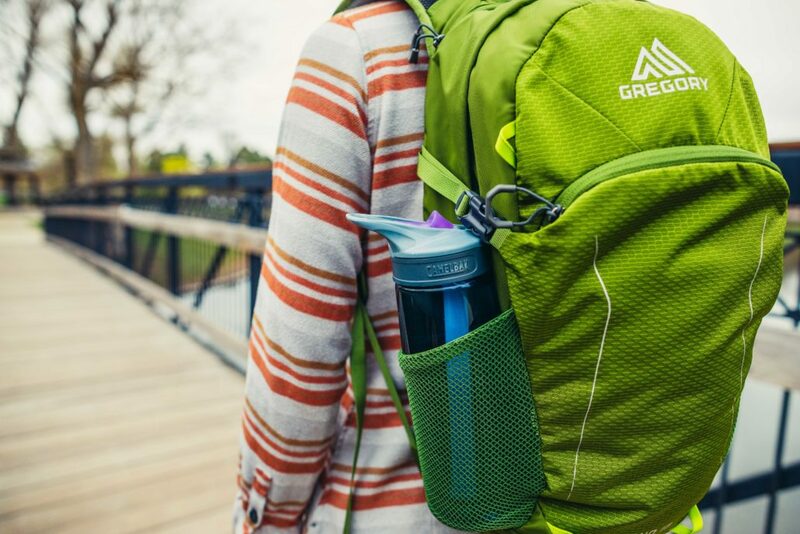 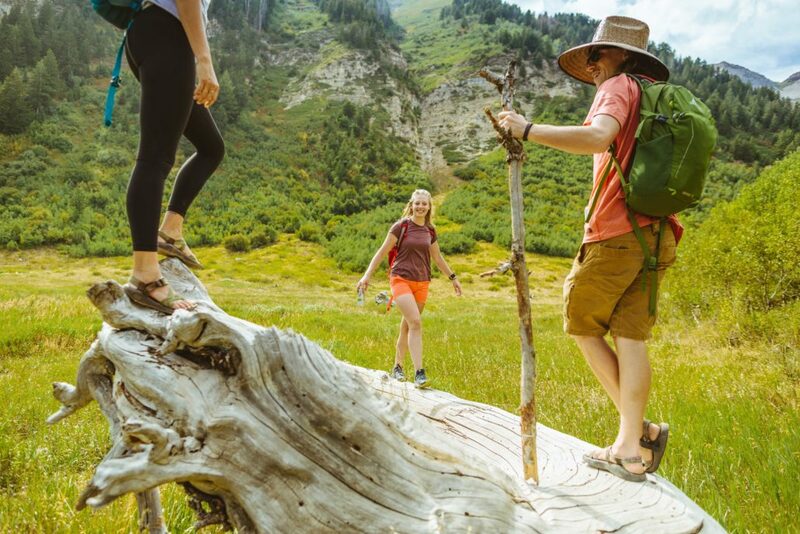 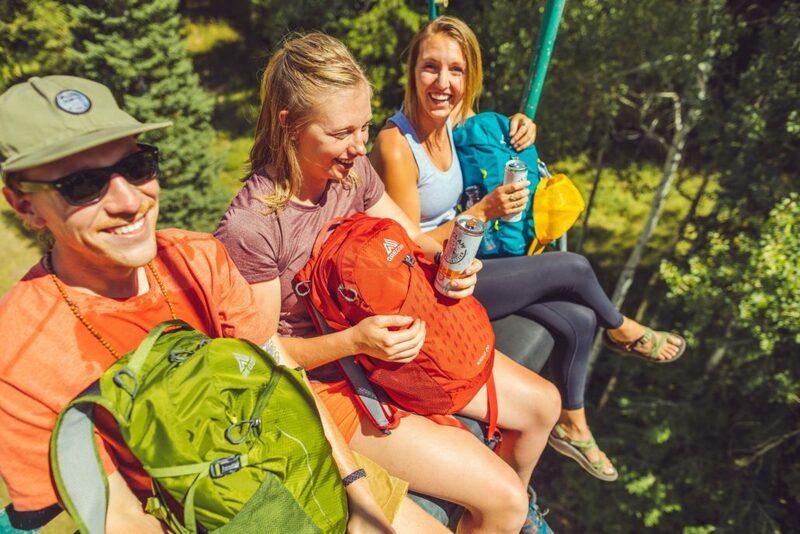 Responsible for many industry firsts in pack fit and design, the Gregory research and design team continues to lead the way in innovative backpack technology and performance.